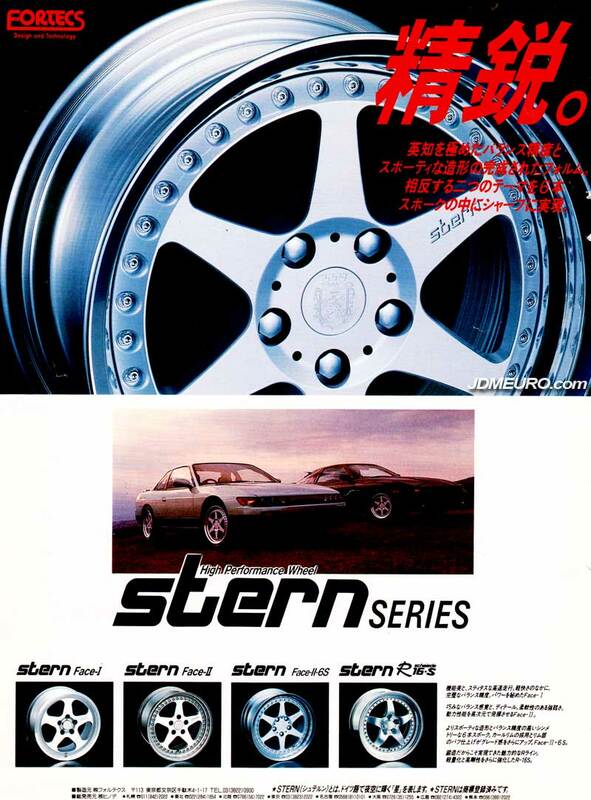 The Stern Series of JDM Wheels is most Popularized by the Stern Face-II 5 Spoke Wheel. So popular, it was used on certain year Saleen Mustangs. The Stern Face-II is a muscular looking fat face 5 spoke wheel with exposed hardware. The Stern Face-I was pretty much the one peice version of the face-II. The Stern Face-II 6s was similar just that it had 6 spokes. The Stern R Schmiede had curved spokes, which I am guessing would be helpful to big brake fitment. Pictured above are the Stern Face-II-6s mounted on an Nissan Silvia S13, and a MK3 Toyota Supra.